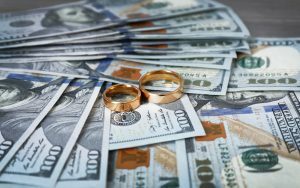 H. Michael Stern, Esq., a New York matrimonial and family law attorney and mediator with over 33 years of experience suggests that it is important to be vigilant about how marital funds are expended following the commencement of a divorce action. 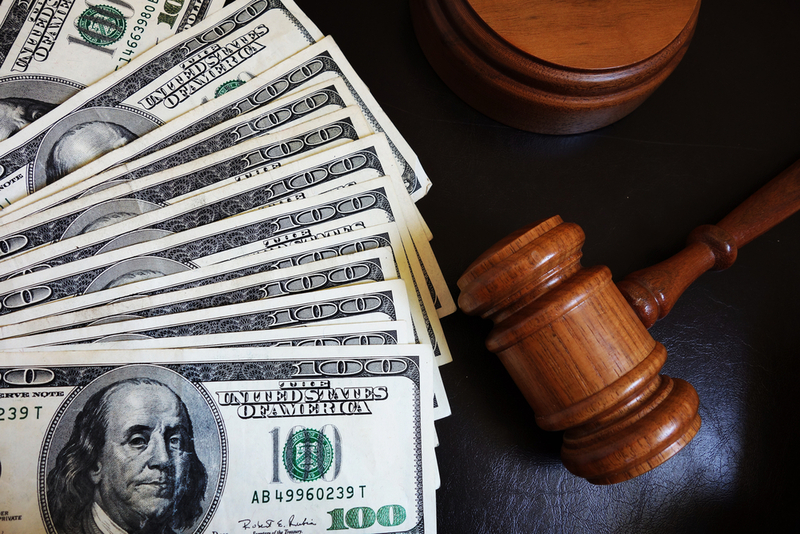 In a recent case determined by the Appellate Division of the Supreme Court, Second Judicial Department, the Court held that the parties were accountable for the use of marital funds in paying their post-commencement separate obligations. Allow me to explain what this means in a plain language example. 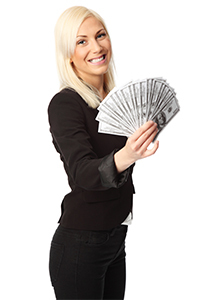 The parties have a joint savings account that has a balance of $100,000.00 at the time the divorce action was filed. The money represented their combined earnings during the marriage and is considered “marital”. 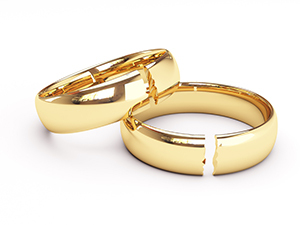 Once a divorce case is filed, future ordinary weekly earnings are no longer considered marital. 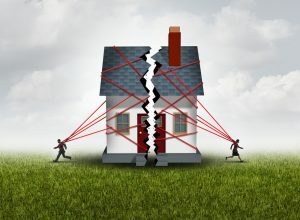 That is because no additional marital property is created after the divorce case is filed. 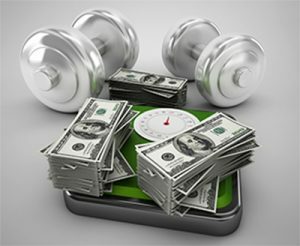 All money and property acquired after the filing of a divorce case is considered “separate.” So, in this example, one spouse removes money from the joint savings account to pay for a personal gym membership including monthly dues. That same spouse also uses the joint savings account to pay the household electric bill. The Appellate Court’s ruling permits the trial Court to recover the money used to pay for the cost of the gym membership which is considered a “separate” obligation (not related to family purpose). However, the Court would not recoup the money used to pay the electric bill for the family home, which would not be considered a separate obligation, even if the utility account was in the name of that spouse alone. Accordingly, if marital savings or investment accounts containing pre-filing funds are being depleted after the commencement of a divorce action, it is important to carefully review the purpose of each expenditure made by the party using those funds during pre-trial discovery. During pre-trial discovery, documents can be obtained and reviewed, and questions posed to determine how the post-filing expenditures should be classified (as either marital or separate for recoupment purposes). The above example only addresses ordinary and customary living expenses that may be permissible withdrawals under the ‘automatic orders,” a topic which exceeds the scope of this blog. Focusing on the needs of the client and the results sought have always been a hallmark of my Long Island practice over the past 31 years.Feel free to contact me, H. Michael Stern, Esq. a Long Island divorce and family law attorney, if you are interested in discussing your matrimonial, divorce or family law matter at hmsternesq@gmail.com or by phone at 516-747-2290. My Nassau County office is conveniently located adjacent to the Roosevelt Field Mall ring road at 666 Old Country Road in Garden City, New York. 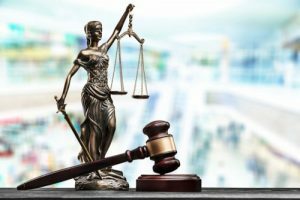 Is an Associate Attorney the right choice to handle your matrimonial case? Before I get to the question, I want to emphasize that this Blog represents my personal opinion and is not based upon any empirical data or studies. At the outset, let me address some definitions. A solo practitioner is a lawyer who works alone in a law practice and does not have any subordinate lawyers within the firm. A lawyer who is “of counsel” may not be a member of the law firm but may provide services to the clients of another law firm. Accordingly, a solo practitioner can have another lawyer on the firm letterhead who of is “of counsel”, but that lawyer is not an employed subordinate attorney in the firm. The “of counsel” lawyer may have her own independent practice and an affiliation with another firm to provide legal services. A partner or junior partner are attorneys who have an equity (ownership) interest in a law firm. An associate attorney is an employee of a law firm, working under the supervision (hopefully) of a partner or junior partner. The purpose of this blog is not to disparage associate attorneys in any way, but there are many questions that the client should ask when a divorce or family law case is delegated to an associate of the firm. Associate attorneys may be upcoming talents in their own right, but there are concerns that should always be addressed before a hiring decision is made by the client. How will decisions be made in the client’s case? Will the associate be making decisions in the client’s case with or without consultation with the supervising partner? Will the client be billed at the hourly rate of the associate, or of the partner, or both, for intra-office communications concerning the client’s case? What is the procedure for decision making (and billing practices) if input of the partner is required for all decisions in the case? How will the charges for intra-office communications or partner input be reflected on the client’s bill? Are there meetings in the firm that the client is billed for where the client’s case is discussed in a group setting attended by the partner and other attorneys? 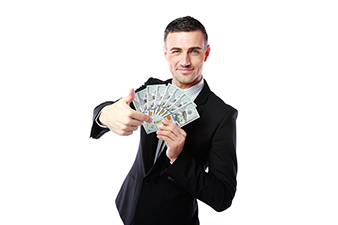 Is the client billed (and how is the client billed) for the time spent in brainstorming the client’s case in the group meeting attended by the partner and other attorneys? Does the associate have experience in handling cases similar to the client’s case? 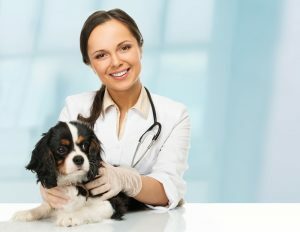 How much experience (and in what specific contexts) does the associate have in handling cases similar to the client’s case? Will the associate be going to Court on the client’s case without the partner? Who does the client contact at the firm concerning the client’s case, the partner or the associate, or both? How accessible will the partner be after the client’s case is delegated to an associate? Will the partner be accessible directly or through a secretary or assistant to buffer the client’s communications? Will access to the partner be limited or restricted in any way? Without a doubt, there are many more questions that can be listed. However, I think I addressed a sufficient number for the purposes of this blog. The client’s decision to hire a multi-lawyer matrimonial firm is typically based upon reputation, success, exclusivity or fame of one or more of the partners. Typically, a client seeks out the multi-lawyer matrimonial firm to have a well-known, prestigious attorney handle the client’s divorce case. What may occur is that following the payment of the retainer, the case is delegated to an associate to handle. Oftentimes, the partner will be the trial attorney and the associate do most everything else, sometimes with the partners direct supervision, sometimes without any supervision. 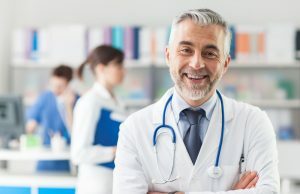 I want to point out that many associates have significant experience and have the ability to handle a case from beginning to end with extraordinary skill, without any need for supervision. In my 33 years of experience, I can count those associates on two hands, they are few and far between. I have been in solo practice in the area of matrimonial and family law for over 30 years and I handle the client’s case from start to finish. I make all decisions on each client’s case. There are no concerns about associate attorney competency in my office because I do not have any. While there is much to be said for the additional income an associate can generate for a busy law firm, I have chosen quality of representation above all else. Indeed, this blog just scratches the surface of the issue and I may add more on the topic in the future. Focusing on the needs of the client and the results sought have always been a hallmark of my Long Island practice over the past 30 years. Feel free to contact me, H. Michael Stern, Esq., a Long Island divorce and family law attorney, if you are interested in discussing your matrimonial, divorce or family law matter at hmsternesq@gmail.com or by phone at 516-747-2290. H. Michael Stern, Esq., a New York matrimonial and family law attorney and mediator with over 32 years of experience suggests that it is important to exhaustively spell out each and every term of a Divorce Stipulation of Settlement to avoid future litigation. 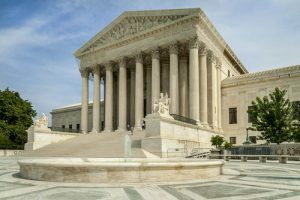 In a recent case determined by the Appellate Division of the Supreme Court, Second Judicial Department, the Court was presented with a divorce settlement which contained ambiguous terms regarding the sale of the party’s former residence. The Appellate Division rejected the suggestion that the delay in seeking the sale of the residence did not constitute a waiver of the defendant’s right to compel a sale. The party’s judgment of divorce provided that the party’s residence “should” be immediately listed for sale and that Defendant was entitled to 25% of the equity in the residence. It also provided that the parties shall “cooperate” in selling the residence. The Court determined that the only reasonable interpretation of those terms was that the residence was supposed to be sold immediately. I try to avoid drafting Agreements that contain loose or ambiguous terms. It is better to overstate the terms of a Divorce Settlement than to leave it up to the parties to work out later. In many cases that does not happen, and litigation ensues. I strive to carefully draft Agreements relating to the disposition of assets and apportionment of liabilities. H. Michael Stern, Esq., a New York matrimonial and family law attorney and mediator with over 32 years of experience suggests that attorneys fee applications in New York matrimonial actions should always be vigorously defended. So, you might ask, why am I referring to this case in a matrimonial blog? Because the problem is just as pervasive in matrimonial practice, that’s why. The law provides for an award of interim counsel fees pending trial for the economically disadvantaged party in a divorce case. Motions for interim counsel fees in divorce cases typically rely on counsel’s experience and standing in the legal community. 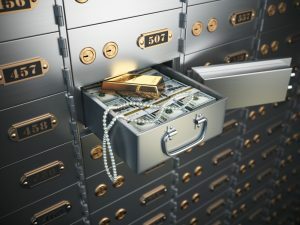 Oftentimes, these motions tend to “gild the lily”, trying to induce the Court to award an overestimated, inflated fee to the moving attorneys at the beginning of a case, where a substantially lesser fee is actually warranted. Such awards tend to create a litigation “snowball effect”, as the fees awarded must then be earned by the prevailing attorneys through unnecessary litigation — to the occasional detriment of the parties since there is no requirement that such fees produce demonstrable results of any kind. Similar applications may follow as there is no limit to the number of attorney’s fee applications that can be made in a New York divorce case. Thus, in my opinion it is absolutely necessary to challenge the efforts of attorneys who seek onerous and unjustified anticipatory attorneys fee awards in matrimonial actions. I have been vigorously defending such applications, decided either by motion or following a hearing for over 30 years. I have been trying divorce cases since 1987. and It is also critical to staunchly defend inflated unreasonable counsel fee applications made at trial. My goal first and foremost is to win at trial when a settlement cannot be reached in the case. Focusing on the needs of the client and the results sought have always been a hallmark of my Long Island practice over the past 30 years. Feel free to contact me, H. Michael Stern, Esq., a Long Island divorce and family law attorney, if you are interested in discussing your matrimonial, divorce or family law matter at hmsternesq@gmail.com or by phone at 516-747-2290. In a 2015 case determined by the Supreme Court, Westchester County, New York, the trial Court determined that the application for social media evidence had to have a bearing on the claim that one of the parents was not spending time with the child during from birth through age four. The Court noted that the law prohibited social media fishing expeditions through discovery. However, the trial Court found the request for Facebook posts during that time to be relevant and could have a bearing on the outcome of the child custody dispute. As a result, among other things, the trial Court ordered the posting party to produce printouts of her Facebook postings showing her whereabouts away from the New York metropolitan area from date of birth of the child until the commencement date of the case. 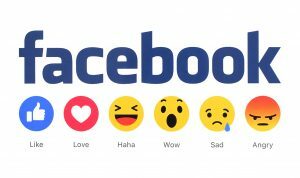 The trial Court also ordered the mother to submit an authorization giving the court access to her Facebook posts during the applicable time frame. The father was also directed to turn over any postings by the mother in his possession for the time period in question. Thus, in my opinion it is absolutely critical to limit Facebook and other social media postings during divorce and custody cases. In my 32 year career, I have used the opposing litigant’s social media postings against them in various contexts. 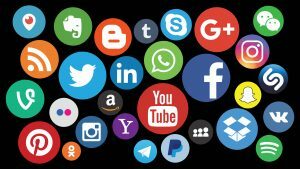 When a litigant is reckless on social media, the adverse consequences resulting from the admission of the social media evidence at trial can drastically effect the outcome of the case. In one case that stands out in my career, a neglect case was initiated and prosecuted by the County against the other party resulting from social media evidence that was in my client’s possession. While I understand that many litigants reach out on social media for support from their friends and acquaintances during a bitter divorce or custody case, one can go overboard. The potential exists that both words and photos will be used outside of their intended context against the posting party. Thus, I counsel my clients that restraint in social media use is the best choice during litigation. Please contact me for a free initial consultation, H. Michael Stern, Esq., a Long Island divorce and family law attorney, if you are interested in discussing your child custody, divorce or family law matter at hmsternesq@gmail.com or by phone at 516-747-2290.